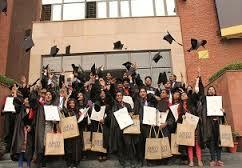 Eligibility for Distance MBA at Amity University is graduation in any stream from a recognized university. Fee for the MBA course is approximately INR 136800/- for the complete course. abou admission date and fee structure for the session 2019? Distance mba from amity university admission for 2019 batch enrolment already started and last date to apply for this session is 30th jan 2019. The course duration is 2 years and mode of study is online. every week 7-10 hours study is there in this course. If you pay single payment one time then university giving discount and fees need to pay INR 141800. For defence people want to do mba then fees for them will be 129,300 in installment and single payment will be 120,800. Write Your Reviews on "Amity Directorate of Distance and Online Education Kolkata"
Are you Interested in "Amity Directorate of Distance and Online Education Kolkata"? Please provide the following details. 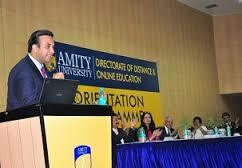 Ask Question on "Amity Directorate of Distance and Online Education Kolkata"?